The new, Halloween Spirits, HR carnival is up at Sharlyn Lauby’s HR Bartender. Look out for my entry under the ‘pops’ section (I’ve been drinking lots of Orangina while out in sunny France this week). I’m presenting at the International Telecommunication Union’s Regional Human Capacity Development Forum for the Arab States in Cairo on Sunday 1st November. I’ll be there on the Sunday and Monday, so let me know if you’re there and you want to meet at the Forum, or your office in Cairo. Continuing the measurement theme, I’ll be blogging from this year’s InfoHRM European conference on 11-12th November. Do come over and say hello if you’re a regular reader of this blog. Also see posts from the 2007 conference (that I presented at). We know people our most important asset but business leaders don’t always act this way. It’s HR’s job not just to say these statements but to turn them into action. One way of helping make this shift is through better measurement. Even today, an organisation’s intellectual capital (customer, structural and human capital) can be worth 20 times as much as its tangible assets (financial and physical capital). Human capital is the greatest of these – even though some people are liabilities! Designed to convert these input outcomes = value provided to stakeholders. Accountants are very good at measuring tangible assets and if people really are the greatest value in our organisations we need to be better at measuring them. The problem is that it’s jolly difficult! The real test of measures is that they are useful rather than just interesting. 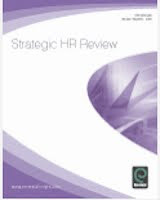 HR operational effectiveness – service levels, support, policies, processes. Andrew’s human capital index deals with the distinguising qualities of people that make them valuable in the value chain. Value is both current and future (current value = culmulative capability as of today and their performance; future value = potential to do something bigger or broader in the future). Andrew’s formula for value = personal attitudes, capability, contribution, values, potential. How would we weight the components we have identified? Andrew suggests that we can use these measures to manage in a way that increases the value of people in team. For more explanation of all of this, see his book, the Human Value of the Enterprise. My book, of course, deals with much of the same ground, but from a different perspective. I do completely agree with Andrew that we need to treat people as individuals rather than heads or human resources. But I’m not sure that human capital / intellectual capital IS still more valuable than financial capital / tangible assets – although the situation has definitely improved since I wrote this post. And I don’t believe we need to valuate people in order to be able to manage them effectively – we should measure the effectiveness of our management, not the people themselves (measure the management, not manage the measurement). My worry about too sophisticated a level of measurement is that it will obscure, rather than clarify, the focus on people as providers of critical human capital. But for people / organisations that do want to do this, Andrew’s approach still provides a useful guide. The first session at Boussias Conferences’ People Management seminar in Athens has been given by Hal Gregersen from INSEAD (I’m on last!). David Neleman, the founder of JetBlue explains that innovation comes from looking at a process or practice that has been in place for a long, long time and asking ‘Why don’t they do it this other way?’ (this is what I’ll be suggesting re performance management in my session later on today). We need to ask more questions that impose constraints - ‘What if we were legally prohibited from conducting any future business with our current set of customers?’ or that eliminate constraints – ‘What if resources were no challenge?’. So, if you’re trying to get new ideas / solutions but are getting stuck, just go and ask different questions about the problem (without worry about providing answers). Innovation begins by intensely observing the world around us on a regular basis – gaining insight from customers, products, services and technologies in order to develop ideas about new ways of doing things. Innovation also requires experimentation – the more experiments we do, the greater the opportunity for innovation. We need to network with other people who see the world differently from us in order to bridge structural holes (see my Social Advantage blog for more ideas on how we do this). This could include people from different organisation, different industries, different countries of origin, different political viewpoints, people who are 30 years older / younger etc. It’s why Pierre Omidyar, the founder of eBay says he talks to the person in the mailroom rather than the CEO when he visits different businesses. Crossing boundaries like this increases the probability that we can get some new ideas. Hal explained that when he asked the founding entrepreneurs of innovative firms (Google, Apple etc) what they were doing when they got the innovative ideas that disrupted their industries, they provided stories involving the connection of seemingly unrelated ideas (eg Pierre Omidyar combining his desire to make financial markets more efficient with his partner’s experience in trading toys; Herb Kelleher at Southwest Airlines realising that their success in offering a $29 fare on an unscheduled offered a new business opportunity; etc). The Innovators DNA is is partly genetics but mainly nuture – based upon experience of the world. So question is, ‘How well does your world nurture this stuff?’. HR is in a powerful position to influence this. Not only can we do Hal’s activities ourselves, we can also put in place systems that reinforce these ways of doing things. The leaves are turning brown and it feels like I should be in Harrogate again. But no, it’s another month to go and it’s going to be Manchester. I’ll be up live blogging at the CIPD conference on 17-19 November. Look out for me if you’re going to be there, or better yet, get in touch and let’s meet up. Visa Europe: What do you want to be when you grow up? I recently attended a great event, ‘Delivering Outstanding Performance’, organised by Michelle Lawton from Consult HR and ‘MOK’ from The Innovation Beehive. Opening the event, MOK suggested that to contribute to their employers’ success, people need to be clear about what they want to be, who they are, and how that fits with their organisation. We then had a presentation from Derrick Ahlfeldt, SVP HRM at Visa Europe with a case study from his organisation that demonstrated these points. In fact, Derrick’s story provided a great demonstration of much of what I’ve been blogging about here over the last couple of years too. As an association, Visa Europe is about developing the whole market (the European credit card business) through collaboration. By 2004, following a major restructuring and re-engineering, people had initiative fatigue. There was a need to re-engage people and gain additional discretionary contribution. Since then, the company has been working to become a ‘Peak Performing Organisation’. Derrick didn’t present it like this, but I’d suggest that collaboration is Visa Europe’s mojo. External collaboration is clearly critical to the company’s success and I think they understand (implicitly at least) that because of this, internal collaboration is equally as important. A major part of this shift has been creating an environment in which people are put at the centre of the organisation – an environment in which people don’t feel they are ‘being done to’, but are ‘doing it for themselves’ – ‘making ownership and accountability personal’. Visa Europe has clearly been ‘putting human capital first’ – treating people as providers of critical human capital rather than simply (human) resources (my Strategic HCM blog is all about putting people and human capital first). This is absolutely appropriate for an organisation whose mojo is about collaboration as people will need to take accountability in order to trust each other in order to support collaboration (the other way of saying this is that building human capital is a pre-requisite for effective development of social capital… - see below). Kevin Roberts, CEO of Saachi and Saachi, suggests that a ‘Peak Performing Organisation’ has a ‘sense of family’ within the team. This has been another part of Visa Europe’s recent shift. Visa Europe has also been developing social capital around a sense of family. 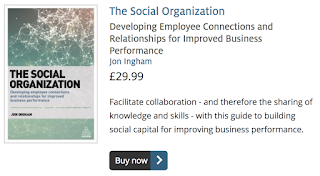 Again, this is absolutely appropriate for an organisation whose mojo is about collaboration (my Social Advantage blog is all about developing the right social capital to support an organisation’s mojo). It took over a year to “wordsmith” this document in order to ensure that everyone was comfortable with it. I think this process demonstrates the need to develop a solid push behind whatever a company is trying to do (whether this is articulated through a BHAG, mojo or something else) as a way of translating this intent into organisational capability. I particularly like the way that Visa Europe’s shared spirit and common beliefs blend human and social capital (competitive yet collaborative, individual and family). I presume the “Greatest Imaginable Challenge” which Derrick didn’t want to discuss is Visa Europe’s BHAG. But note that this is developed from the mojo (an inside-out approach) rather than the other way around. I also think Derrick probably under-sold the work he and his team did to socialise this document – in my experience, the process of creating a joint ‘vision’ for the organisation is more important than the document it produces. It’s about creating a shared mindset, rather than a wordsmithed document! Visa Europe has made participation in this phase of the ongoing programme voluntary in order to create a different dynamic from the past. · Given you are this person and these are your skills and talents, what can you bring to this organisation? 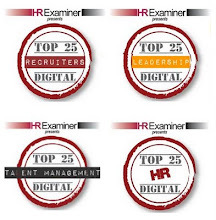 · Are you in the right job and the right organisation? I think this phase of the programme provides a really nice (whoops – sorry MOK) explanation of a human capital vs a human resources approach. Ie the phase is about employees as individuals, not the business. However, there is a limit to this. The phase also starts to develop social capital too (via sharing values stories within the team). There are some really good examples (eg Herman Miller) where sharing this type of information has had a very powerful team boosting effect. Another good approach – this time to develop social capital. But could it be even more strongly based upon the existing capabilities of the team (what the team can do rather than what customers currently need)? People have generally been very positive about the change. However, disbelievers are tolerated as long as they do the job they are expected to do. And some people have left the organisation. I think people are always going to leave organisations during a transformation like this. And if they’ve left with a better perspective of whom they are and where they should be, this can only be a good thing for them, and is probably a good thing for the organisation too. If they’ve left because they’ve found the whole thing a bit too ‘fluffy’ then I think that’s a shame for them. But I’m convinced that doing this sort of thing will gradually become part of everyone’s normal expectations. There are other positive statistics too, but what the Chief Executive says is also important are the stories and what he’s seeing in the organisation. The CEO’s focus on both quantitative and qualitative evidence is totally appropriate. Not everything that’s important can be measured, and I think this applies particularly to organisational capability, ie to both human and social capital. However, clearly when something important can be measured, it makes sense to measure it. · Best fit – the things that Visa Europe has been doing won’t apply for all organisations, but they apply for this organisation, with its focus on trust and collaboration, superbly well. So the message isn’t do what Visa Europe’s done. It’s applying the same level of insight and sharpness to your own organisation. And if you do this, you should gain the same levels of Human and Social Advantage too. We didn’t talk about this at all, but I’d suggest Visa Europe’s next step is towards even greater liberation of individual employees and of teams. Derrick explained that as a result of the first two phases, Visa Europe is now confident that every person and every decision is linked with a golden thread to the organisation vision. That’s great, but it still sounds rather too top-down? I agree that they do need to manage performance against the organisation’s vision and objectives (top-down) but they would also benefit from taking ever greater advantage of the potential residing in each of the company’s employees – leading performance instead of just managing it (I’ll be talking about this in Greece next week) – ie bottom-up. At the team-level, I’d suggest that Visa Europe continue to build social capital – perhaps by emphasising links across teams (bridging capital) as well as within the teams (bonding capital). So I’d suggest they look at different opportunities that will help them do this – recognising that these may range from organisation development to social media; social events to reward practices; and social network analysis to facilities design. Note - and I’ve emphasised this quite a few times - that the ‘social business’ (if this is what Visa Europe is) isn’t just about the use of social media. So, for example, Michelle described a nice example from the BBC where people have been given the opportunity to go and experience different areas of the organisation for a few weeks (“the hot shoe shuffle”). Note also that this isn’t in any way supposed to be criticism of Visa Europe’s story. They’ve done much more than most organisations would even dream of. I’m just explaining the direction I personally feel they should go. Anyone else any suggestions for Derrick? Thanks to MOK and Michelle for the invite to the event, and to Derrick and his IT colleague for the story. This post is cross-posted at Social Advantage. My previous carnivals - the super s*** one (I don’t want to offend anyone this time around! ), and the Italian one, were both ‘implicitly themed’, ie I drew out the theme from the posts that were submitted to me. However, in the last edition of the carnival, we were asked to think about an explicit theme (talent management in the improving economy), so I thought I’d be a bit more explicit here too. And the thing that has been exercising my mind recently is ‘the social business’. Partly because there’s been a lot of commentary on it recently (see below), and partly because it relates very closely to the focus of my new(ish), or at least less well known, blog: Social Advantage. So, I’ve asked that contributors to this carnival might like to submit posts relating to HR’s role in the social business, or at least “posts that have a social networking aspect to them, eg anything about teams (team performance, team reward etc), HR and web 2.0, social psychology, social network analysis, etc)”. So what is the ‘social business’? Most of the bloggers contributing to this carnival will know, but most other readers probably won’t – as discussion has been largely confined to the blogosphere so far. If you don’t know, check out my post Views on HR News: HR’s Role in the Social Business at HR Zone (free membership required). Jo Jordan continues the theme with Give HR a strategic stake in business with social media at Flowing Motion. Matt Alder considers Social media and HR – arch enemies or vital partners? at Recruiting Futurology. Anne Marie McEwan posts on Second Wave Smart Working: What Role HRM? at the Smartwork Company blog. Gautam Ghosh posts on Tomorrow’s HR professional at Gautam Blogs. And Jessica Miller-Merrell describes HR & the social media battlefield at Blogging 4 Jobs. If you want to learn more, then yes, you can learn about social media using social media, but you can also learn from conference attendance too. Mark Bennett discusses (social and community) Thinking at HR Technology 2009 on TalentedApps. And Michael Vandervort shares his learnings from IZEAfest in Be a Guru, Not just a Swami! at The Human Race Horses. Sharlyn Lauby posts on Facebook games and its business applications at Restaurant City on the HR Bartender. BP Rao posts on another social network: 43 Things at A Social Network To Achieve Goals on People at Work and Play. Steve Boese posts on IBM’s social network, Beehive, in Work and Networks at his Technology blog. And Stacy Chapman builds on Steve’s post, noting the use of Social Networking Data in Workforce Planning at Strategic Workforce Planning. Lance Haun writes Let’s Stop Talking About Social Media Experts at Rehaul. John Agno considers The Way We Communicate at Coaching Tip. Andy Headworth suggests Social media stops talk. Here are ten ways to help you build that conversation again at Sirona Says. Susan Heathfield highlights a disturbing trend recently, asking Do You Snoop Online On Prospective Employees? at Guide to Human Resources. And responding to the same issue, Laurie Ruettimann warns against being a chump in Question: Social Media, Employers, and Passwords at Punk Rock HR. Amit Bhagria asks Is Social Networking an Effective Recruitment Strategy? at the Young HR Manager. Peter Gold describes How job boards killed job ad creativity and how Twitter brings it back (maybe) at the Social Workplace Blog. Cathy Missildine-Martin responds to Dear Job Seeker in Human Resources at Profitability through Human Capital. Susanna Cesar asks Will you be ready to recruit when the recession ends? – including through technology - at Recruitment 2.0. But of course, the social business isn’t all about technology, and The HR Store answers a manager’s question about real (vs virtual) world teaming in Team member skips meetings regularly. First of all, have you heard about the Times journalists rant against the HR profession recently? Rick asks If HR is so crap, why does it continue to exist? at Flip Chart Fairy Tales. Graham Salisbury also addresses this issue but then moves on to ask What keeps American HR Managers awake at night: the thought of bare legs at HR Case Studies. Other stories include the one about Mike the Rooster. Heard it? Bay Jordan tells all in Crowing Management at Zealise blog. MOK focuses on Innovating in the Global Recession at The Innovation Beehive. And Nick Jefferson suggests that There's Just No Accounting For HR at Jeffersonia Unlimited. Time to get the party started? 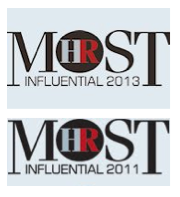 Mick Collins posts on Leaders are Expensive, but Poor Leaders Cost Exponentially More at InfoHRM blog. Wally Bock provides The Third Grade Teacher Model of Leadership at Three Star Leadership. Steve Roesler helps managers and HR pros to think diagnostically about Coaching? Three Choices To Consider at All Things Workplace. Dan McCarthy describes What HR Wants From an Executive Coach at Great Leadership. And Mary Jo Asmus responds with What Executive Coaches Want From HR at Aspire CS. Frank Mulligan posts on China Recruitment - All on the Up (Slowly) at Talent in China. Amit Avasthi discusses Beyond the Recession at HR Bytes Blog. And Gireesh Sharma notes some Post-Recession Challenges of Talent Management at Talent Junction. So there’s good news in Chindia at least! 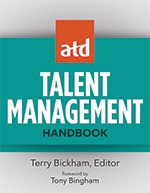 Alice Snell posts on talent analytics in Staying, Going, Returning at Talent Management Solutions. And Jay Jamrog and Mary Ann Downey post on the Future Trends of HR Metrics at I4CP’s Productivity Blog. David Zinger provides The 14 Keys of Employee Engagement. Chris Ferdinandi discusses Sick days, flexible work, and the law of unintended consequences. Anne Bares posts on Top Three Reward Strategies for 2009 at Compensation Force. Lisa Rosendahl asks Do I Look Like A Dinosaur To You? at Simply Lisa. Mike Haberman asks Should Recruiting Get the Boot? (from HR) at HR Observations. Chris Young encourages you to Take Ownership For Your Own Professional Development at Maximizing Possibility. Melissa Prusher posts on Ten Minutes with John Sumser – Industry Expert at Devon Group’s blog. And how many times did you come across references to Zappos in these posts (there’s at least a couple)? And then Kris Dunn follows up with If I Drank All the Zappos Kool-Aid, Wouldn't My Teeth Be Green?). That’s it (finally!). I hope you liked it! You’ll have noticed that following Becky Robinson’s lead in the last leadership development carnival, I have provided contributors’ Twitter usernames above and hope you will find these useful. And like Becky, I have also created a group so you can follow all the Twitter users who contributed to this carnival… see http://tweepml.org/HR-Carnival/. Next time, the carnival calls in with Sharlyn Lauby at the HR Bartender. Photo credits: M.Minderhoud, Infrogmation (1, 2 and 3) and David. So Talking HR is finally back with a new show on Social Learning. What’s that? Well, in the show I started to define social learning as something more than just the use of social media to support learning. But I’d now like to elaborate on this (I didn’t want to go on about this before or this one point could have taken over the whole show). My main point is that learning has always been social. So social learning can’t just be the application of social media. But it has to be something different to what learning has been before. This is a similar argument to the one I’ve used t suggest that HR 2.0 and management 2.0 are approaches aimed at the development of social capital. And I’d suggest that learning 2.0 is probably about social capital as well. But I think it’s about one form of social capital in particular – and this is ‘the learning organisation’. I read somewhere that when the learning organisation first became popular (via Peter Senge and others), it wasn’t really achievable. Social media has made it much more so. But I’d suggest that there’s an important distinction between learning that uses social media, and learning that aims to create a learning organisation. The other way of looking at this, which I also mention on the show, is that when we talk about social learning, we really should mean social learning, ie learning of the social unit (the team or the organisation as a whole) and not just learning socially (generating, co-creating and sharing content, collaborating etc). It should be about developing a common understanding, a common way of doing things, a new culture even, between people in a team. This is the real reason that social learning is so important. I also attempted to link Honey & Mumford’s learning styles with Li and Bernoff’s social technographic profiles (the ladder from Groundswell – pictured). Listen to the podcast and read the show notes at Blogtalkradio. You can download the podcast to your hard drive or play it streaming from the web. Subscribe to the show at itunes. The Carnival of HR is back for its third visit to Strategic HCM on Wednesday next week. If you’ve got a blog looking at HR or related issues, I hope you’ll submit a recent post to be included. I’m particularly interested in posts that have a social networking aspect to them (see my post below! ), eg.anything about teams (team performance, team reward etc), HR and web 2.0, social psychology, social network analysis, etc., but I’m open to anything else as well. Please send your submissions to info [at] strategic [dash] hcm [dot] com by midnight Pacific Time on Tuesday 13th.